Flatten directory structure and make long file names. 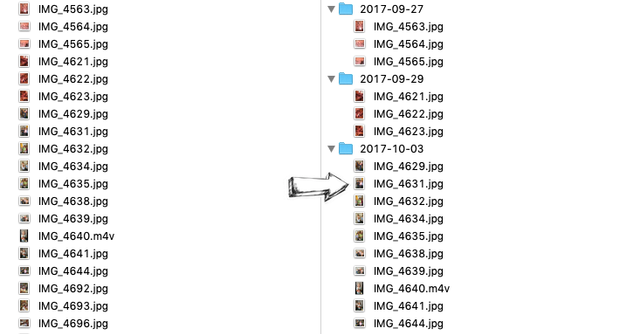 Sorts folder of JPEG images to folders using EXIF metadata. It tries to sort video files without metadata. Do not use exiftool. Just organize files to existing folders. 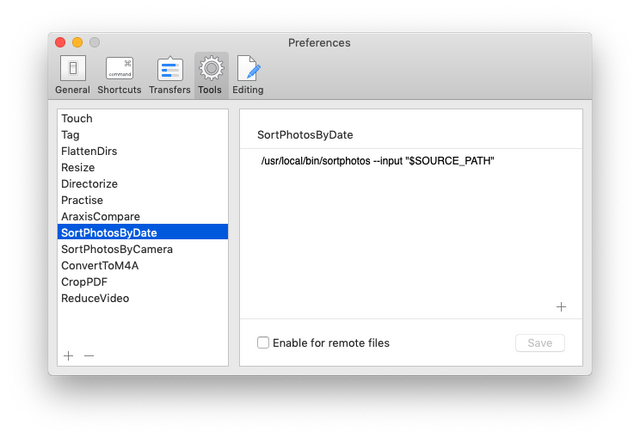 Sort photos uses EXIFtool for sorting photos based on date or camera type. Currently different formats have different EXIFtool information - DateTimeOrigina, DateCreated, ContentCreateDate, CreationDate, ... M4V files often contain no EXIF info and script tries to sort those files to folders based on the file name. Rename seriers episodes using names from OMDb. Try http://www.omdbapi.com first if needed. RenameEpisodes script uses free Open Movie Database (OMDb) for obtaining the names of episodes. The fill color of version title Default = 'white'. The stroke color of version title Default = 'black'. Output directory for generated images Default = './output'. Script works perfectly from Forklift file manager - https://binarynights.com. FlattenDirs: /usr/local/bin/flatten --input "$SOURCE_PATH" --output "$TARGET_PATH"
Script resize uses a little bit more complicated setup. It uses iTerm2 terminal because it needs also additional parameters in interactive mode. It uses shell_helper.sh and shell_command.sh simple subsidiary scripts.